The sudden violence and physical shock of a car accident, even one that happens at a low speed, can be quite startling. You may start acting on the influence of adrenaline and instinct, without much awareness of what you are doing or saying. It’s difficult to maintain complete control over yourself after such a stressful, upsetting event. The process of filing an insurance claim for your car accident can be similarly stressful, but for nearly opposite reasons. Rather than responding to an immediate shock, you may have to persevere through piles of paperwork and phone calls that take hours to complete. At McWhirter, Bellinger & Associates, our car accidents lawyers want to help you through the process of filing your insurance claim and making sure you get appropriately compensated. Read this guide to learn more about the process, or contact us for a free legal consultation if you have any questions about your case. 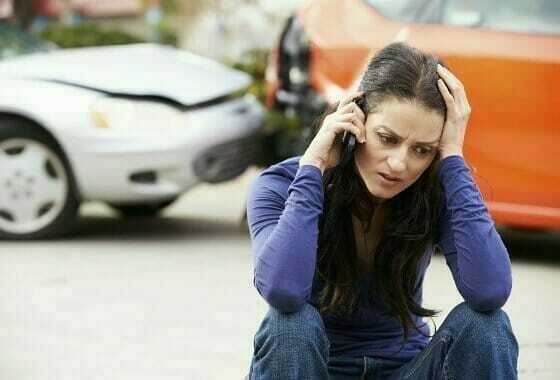 Once you have attended to the immediate safety of everyone involved in the crash–moving the cars out of the road, checking for injuries, calling an ambulance if someone is seriously hurt–the first important legal step you should take after your car accident is calling the police to file an accident report. This will allow a police officer to come down and assess the situation from the perspective of an impartial third party. Police may not be dispatched to your car accident if there are no injuries and the cars are not blocking traffic. In this case, you can still file a report over the phone, and should also note the damage done to your car, the circumstances behind the accident, and the contact information of any witnesses. The moments after your accident are also important in terms of what you do NOT do. It’s natural to want to apologize for an accident, or to defuse the situation by saying “it was my fault” or “I should have seen you.” However, you should not say anything that could be interpreted as an admission of guilt. You don’t know the full circumstances that surround the accident, and such statements could come back to haunt you in a courtroom. South Carolina is a “fault” state, meaning that the person legally at fault for causing the car accident is responsible for covering any damages to people and vehicles. Usually, this will be done through the at-fault driver’s insurance. Lawmakers frequently create “fault” insurance laws because they create extra incentives for drivers to prevent auto accidents. It’s standard practice to exchange contact information and insurance information after an accident. If the other driver was at fault, you can contact his or her insurance company to seek compensation for any damage done to your vehicle or any injuries you have suffered. You may find it difficult to decide whether to call your own insurance company or the other driver’s insurance company to make a claim. You may want to call a lawyer before you call the insurance company. Insurance companies always try to make everything go quickly and smoothly following an accident, because it’s in their best interest to settle a case as quickly as possible. However, it’s also in their best interest to pay you as little as possible. A common tactic is for the insurance adjustor to call you, tell you how much you are getting as though it is non-negotiable, and then inform you that this is a final offer, and you can take it or leave it. However, any car accident lawyer can tell you that the “final offer” is rarely as final as the adjustor tries to make it sound. The process of filing a car accident claim is straightforward but complex. While you know what steps to take after an accident (file a report, call your insurance, report the accident, receive compensation), you probably don’t know all the rules that determine how much you receive, and you may not be comfortable negotiating with your insurance company. If you run into issues with your claim, taking your case to a lawyer is probably your best bet. Attorneys at McWhirter, Bellinger & Associates will look at your case for free before you decide whether to hire them, so you have nothing to lose by coming to us. Other situations may require a lawyer, and if you don’t know whether you need one, you can always ask our Columbia accident lawyers for a free consultation. You can contact a lawyer at any point in the insurance claims process, but it’s best to do so as soon after your accident as possible. Do You Need to File a Car Accident Lawsuit? If an insurance company disputes or denies your claim, and refuses to settle, you may need to take the issue to court. South Carolina’s statute of limitations usually gives you three years from the date of the accident to file lawsuits for personal injury and property damage. It is highly advisable that you have a lawyer to guide you through the court proceedings. The South Carolina car accident lawyers at McWhirter, Bellinger & Associates are an excellent choice to represent you after a car accident. Our attorneys have dealt with many car accident cases, and often have a good idea of how much compensation you can expect to receive. For a completely free, no-obligation legal consultation, call us at (888) 353-5513. We serve clients in Columbia, Lexington, Aiken, Sumter, Newberry, Camden, and Orangeburg.